The erodibility of intertidal sediments is a key factor affecting coastal erosion and sediment resuspension. 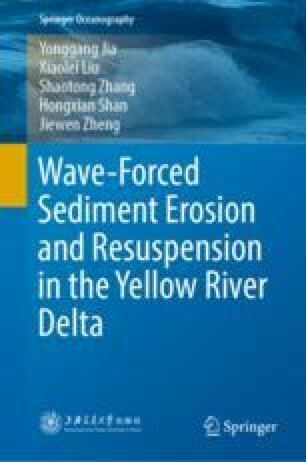 In this chapter, a geological engineering study is undertaken to determine the spatial distribution of sediment erodibility in the modern Yellow River Delta. The critical shear stress of sediments is measured both with a mini-annular flume and a Cohesive Strength Meter (CSM) along the coastline of the Yellow River Delta (i.e., deposited in different historical periods), where the geotechnical properties of sediments are also determined. The influencing factors are identified and implications for sediment erosion and microtopography formation in this unique area are also discussed.